THE exceptional life and Fleet Street career of top showbusiness reporter Victor Davis was recalled at St George’s Church, Campden Hill, London, where a large congregation of relations and many journalists from the Express and Associated Newspapers groups confounded Victor’s own prediction that nobody would bother to turn up for his funeral because everybody had long forgotten about him. The hymns included “Led us, heavenly Father, lead us”… and Jerusalem. Saluting Victor as “the best story teller of the lot”, Alan Frame said that when he became Features Editor, his first memory of Victor was of “a shambolic figure who arrived in the office with a plastic carrier bag”. But everyone recognized his work was invariably touched by brilliance. Victor's life began amid the abject poverty of a tough tenement block overlooking a brewery in Southwark Bridge Road in the Borough district of South London; his father was a warehouseman, his mother a char. Their home was flattened by German bombs while they sheltered in a Tube station nearby and Victor was blown off his bike by another German bomb in 1944 while on his paper round. He won a scholarship to Alleyns School, alma mater of Kelvin MacKenzie, but his parents could not afford to take the place up. Victor left school at 16, got a job as copy boy at the Express where his uncle worked as a machine minder, and, educating himself, read all six volumes of Gibbon’s Decline and Fall and studied shorthand. As copy boy, Victor once took a call from Winston Churchill. The shorthand meant that during National Service, Victor became secretary to a Major General in the Sudan. Returning home, he worked for six years on the Streatham News, boosting his income with lineage to the nationals and celebrated gaining a job on the Daily Sketch with an exclusive on the gift of a baby bear to Princess Anne by the Russians. He was swiftly poached by the Daily Express, after an interview in the Punch Tavern when he was warned that Hush Puppies were not allowed by Beaverbrook. He was a highly effective crime reporter, then the Night News Editor on the night of Kennedy assassination who had to get all the reporters back rapidly from various pubs. A planned weekend visit to the Congo turned into a two-month stay, followed by a stint in the New York Bureau which included the civil rights marches in Mississippi led by Martin Luther King Jr and the final Beatles tour of 1966. Then Peter Evans resigned as star showbiz interviewer and Victor landed the job which soon produced a glittering cast list of interviewees including Marlene Dietrich, Ava Gardner, Mae West, Helen Mirren, Richard Burton, Sean Connery, Robert Mitchum, Tony Curtis and many, many more. He danced with Brigitte Bardot, listened to saucy tales from Charles Chaplin about south-east London before Oona arrived to shut him up, and was probably the first to discover that James Cagney was a keen ecologist. The tapes of all these interviews were donated by Victor to Cardiff University School of Journalism. When Victor eventually left the Express to join the Mail on Sunday, he left a gap which was probably never filled. 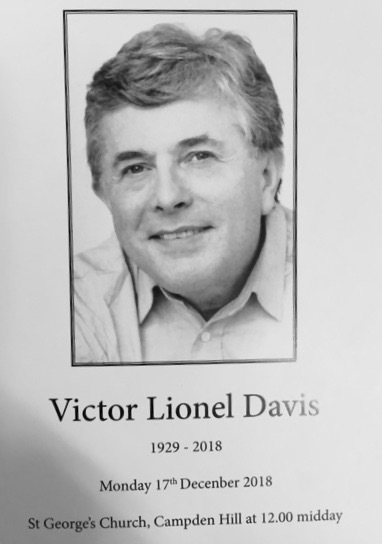 Don Short, Victor’s close friend and frequent rival, read a message from Harry Benson in Palm Beach Florida: “Vic was a gifted writer and one of the best reporters I have ever worked with. We were on the Daily Sketch together before we each moved to the Daily Express at about the same time. 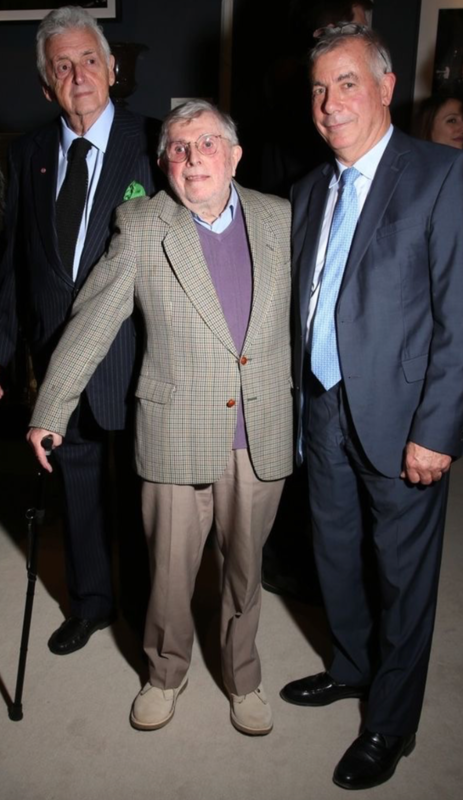 Don said that while some saw Victor as a “bit of a Del Boy” who loved haggling over bargains in the Portobello Road, he will be remembered “as one of Fleet Street’s most prolific and well informed showbusiness writers — in fact widely regarded as the doyen of the pack. Sometimes they worked together, once hiring a boat to track down the bisexual 19-year-old actress Maria Schneider who was hiding offshore on board a boat with an MGM executive when the sensational Last Tango in Paris was screened at the Cannes Film Festival in 1972. Once the two men had clambered on to her boat, they were greeted by Kirk Kerkorian, head of Hollywood’s biggest empire at MGM Pictures. Kirk was so impressed that he persuaded Maria to do the interview, which Victor suggested he would do, while Don had to interview the MGM boss about the morality of the film. They shared the exclusive, the Mirror splashed the story next day, but not a word appeared in the Express. In later life, Don said that he and Victor decided on a nostalgic trip once more to Cannes when they arranged an interview with Robert Redford. Victor kept in touch with his first wife Eileen until the end of his life. Then he married magazine editor Janice James, whose death a few years ago left Victor devastated. He recalled visiting Victor in his final months: “One of the nurses had taken him out in the wheelchair to the nearby park and they had just returned. Don said: “His long-time friend and photographer Steve Wood who worked alongside Vic on many international assignments, arrived at the house next day to find Vic sitting in the sunshine. The vicar of St George’s, the Rev Dr James Heard, said Victor had a great love of words, of beauty and of good-quality wine. 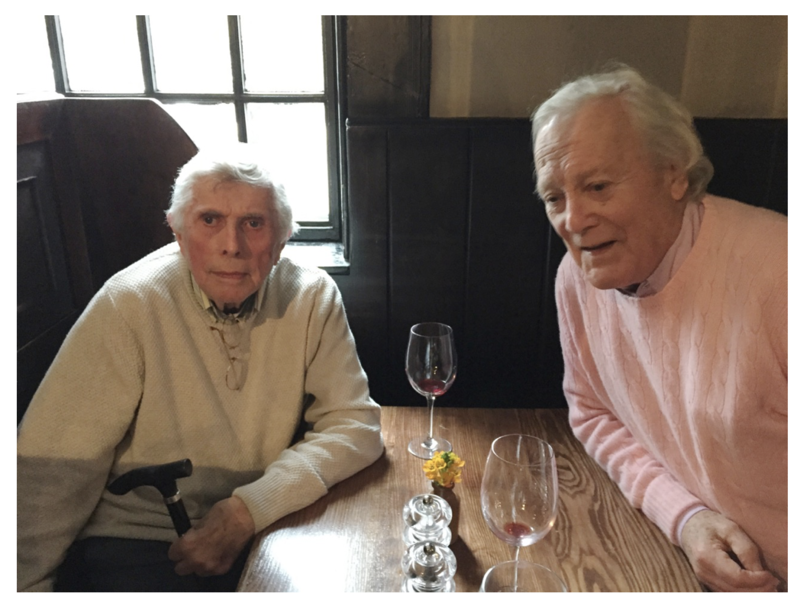 Chilled Sancerre was always at the ready when he visited him and when Victor joined the church’s lunch club for pensioners he made a special donation to improve the quality of the wine. Journalists at the service included Gill Martin, Maureen Paton, David Wigg, Alan Frame, Caroline Hendrie, Richard Compton-Miller, Geoffrey Levy, Brian Freemantle, Jeremy Gates, Trudi Pacter, Sian James, Sandi Williams, Richard Kay, Rod Gilchrist, Harvey Mann, Keith Waldegrave, Matthew Norman, Stephen Claypole, Don Short, Tim Walker, Jonathan Margolis, Richard Heller and Glyn Evans.